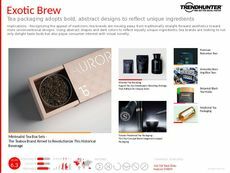 Find Better Ideas, Faster ® with a custom cold tea trend report, our PRO Dashboard and 80+ categories of premium trend reports. 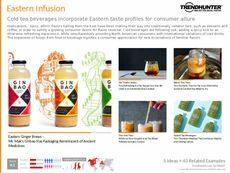 The Cold Tea Trend Report uncovers the latest trends, recipes, cafes and brands that build on the growing popularity of cold tea. The various types of cold tea can be attributed to the different origins of the drink -- whether focusing on examples from Asia or South America. 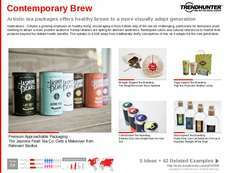 Furthermore, the rise of cold tea also converges with the health-movement as consumers stray away from sugary sodas and seek natural, healthy and herb-filled substitutes. This report will look at the most current cold tea recipes, flavor innovations, seasonal beverages and herbal infusions. 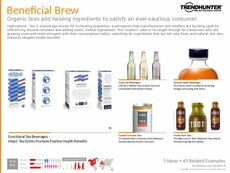 The Cold Tea Trend Report targets professionals in product development and food and beverage executives. Whether you own a restaurant, cafe or work for a large brand, use Trend Hunter's crowdsourced data to map out your company's entrance into the booming cold tea market. 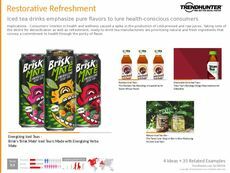 Stay on top of the latest cold tea trends using Trend Hunter's research, and gain valuable consumer insight into the popularity of this new addition to the beverage industry.